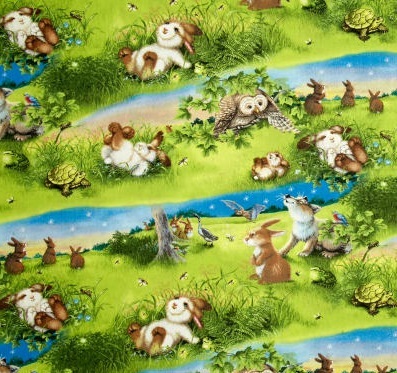 Quiet Bunny and the Night Song Scenic is designed by Lisa McCue and licensed to Wilmington Prints. 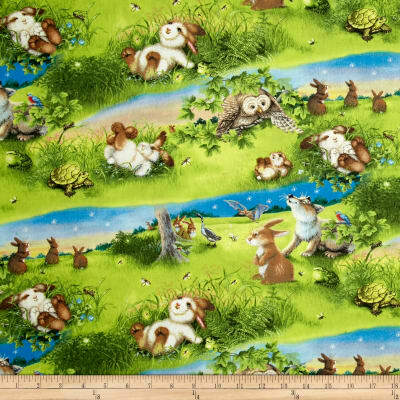 This fabric is 100% cotton and is approximately 44 inches (112 cm) wide. Colours include black, brown, blue, shades of green, red, pink, yellow and white. Shipping terms: Free postage Australia wide and Items are posted next business day.